The long-awaited Amazon Prime Video is finally available on Apple TV and iOS, and although the UI might not be perfect, support for Siri and Apple's TV app really adds to the user experience. Amazon Prime Video comes as a free app through the tvOS App Store. It's quick to download, and allows you to browse content without signing in. Owners of the third-generation Apple TV will also find a new Prime Video channel on their home screen. Using the Apple TV's Siri Remote can be quite a hassle when signing in, but you can hold down the Siri button and voice your credentials. Simply say "capital" before any uppercase letters and you'll be surprised how quick and accurate the voice input is. 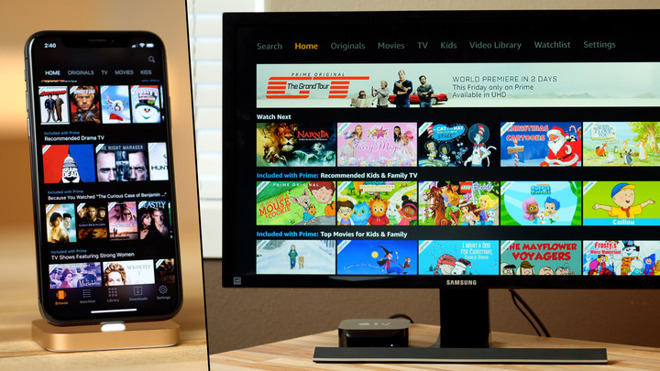 Amazon also lets users register their Apple TV on another device, via a browser, if they wish. Once you're in, you'll be greeted with a simple UI on the Home screen, with tabs at the top for everything you'll ever need access to. From the Apple TV Home screen, you can also hold the Siri button and simply say, "Prime Video," to open the app. This works system-wide, including from within apps like Netflix. Once in the app, you can swipe up and start browsing through movies, and if you've got the new Apple TV 4K, there's a category of movies with 4K and HDR support. There's also a category with Channels, like HBO and Showtime, which can be subscribed to as part of Amazon Prime, if you don't want to sign up separately. If you don't like the browsing UI, you can hold the Siri Button and ask her to find movies for you. We first asked Siri to find new movies in 4K, and Siri did just that. We then asked her to find 4K and HDR movies, and it worked perfectly. You can also simply say the title of a movie, and Siri will give you a list of every movie that contains that title or is directly related to it. Once you find a title using search, and if it's available on Prime Video, you can instantly play it. If you search and find a movie that's not available on Prime Video, all of the iTunes purchasing options show up, through Apple's TV app. To avoid that, you can use Siri search to specifically ask for movies on Prime Video. 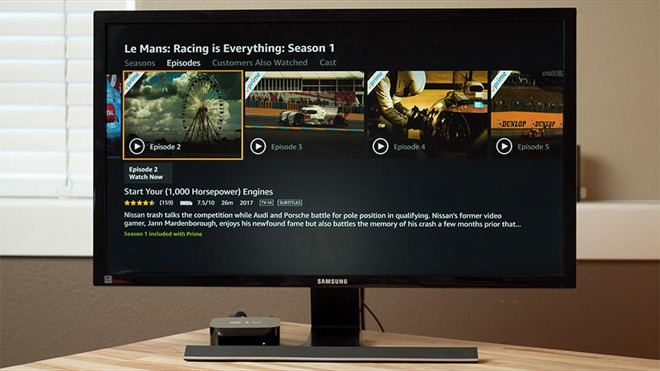 Once you find a title, you can search through seasons, and quickly browse through episodes. To make the Prime Video experience even better, you can sync all of your purchased Amazon Prime movies with iTunes by utilizing the new Movies Anywhere service. You even get a few actually decent movies for free when you sync Amazon Prime and other services like Vudu and Google Play. 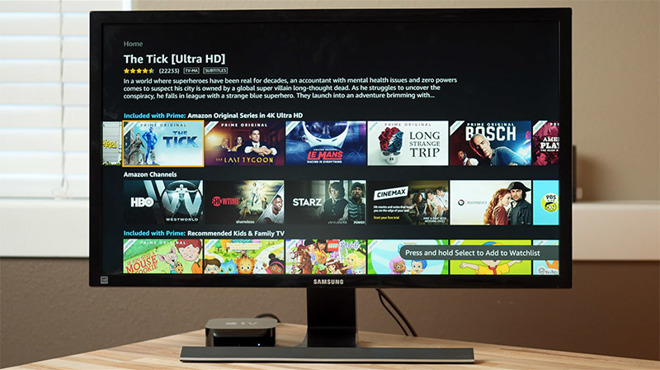 When you play your first title on Prime Video, tvOS will ask you to connect it to the TV app, this will enhance Prime Video integration across all of your connected Apple devices, like the iPhone X and its edge-to-edge screen. From the Apple TV Home Page, you'll see the Prime Video titles you're currently watching within the Up Next section, and can instantly continue playback. An interesting thing we noticed is that even though Prime Video can stream in 4K and HDR, it's currently limited to 2.1 stereo sound, meaning 2 speaker channels and 1 subwoofer, but this may be due to a bug in the software, and should hopefully be fixed soon.